When it comes to Christmas shopping there’s never enough time, enough inspiration or enough stamina to tackle all the gift-buying at one go. 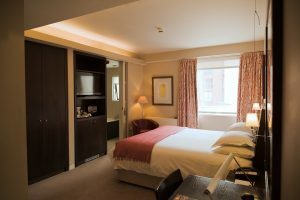 So to ease the process, give yourself a present – a trip to Hart’s boutique hotel and Nottingham’s Christmas Market. 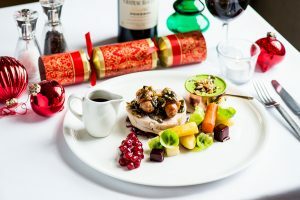 That way you get fab presents to buy in one place, a festive feeling – perhaps helped by a glass of glühwein – and then a top hotel where you can enjoy treating yourself to a touch of luxury with some fine food. This years Christmas market promises to be as pretty as a Christmas card scene. 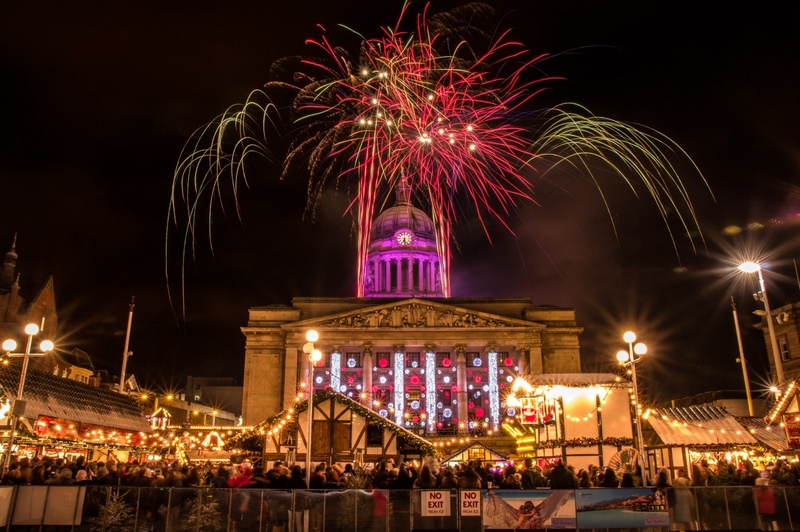 While away the hours in Nottingham’s Old Market Square browsing over 70 traditional, Bavarian-style stalls, searching for the perfect gift among handmade jewellery, woolly winter wear and wooden crafts as well as sampling the delicious artisan cheeses, chutneys and chocolates on offer. Nottingham Winter Wonderland runs from 15 November to 31 December, with the grand Christmas Lights switch-on on 15 November. Children can enjoy the traditional rides and helter-skelter, and the whole family can show off their skating skills on the real, 750m² ice rink. After all that, chill out with a drink (or two) in some pretty cool surroundings—the UK’s biggest mobile ice bar. 2018 also sees the return of last year’s hugely successful ski lodge-style bar, Sur La Piste, which will see live entertainment.